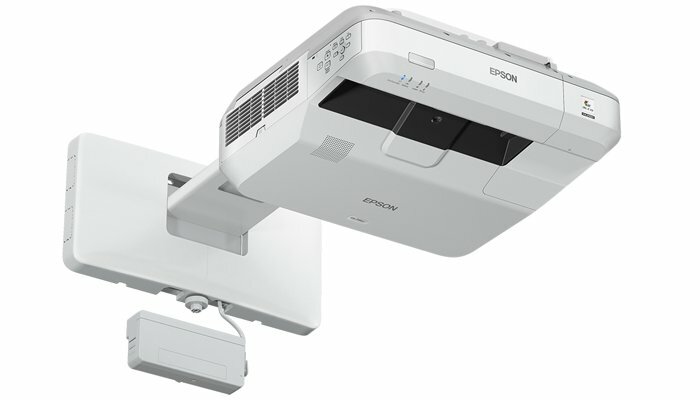 Wireless connectivity via an optional USB dongle makes it easy to connect a range of mobile devices using Epson’s iProjection app1. Multi-PC projection software allows teachers and students to share content simultaneously. The moderator function allows teachers to remain in control, choosing what student content to display, including collaboration with laptops and mobile devices using whiteboard annotation. Dual-pen and finger-touch allow teachers and students to annotate directly onto the screen.